That the world no longer needs a $9000 CD player is something I’m pretty sure the folks at Simaudio realized a few years ago, when they quit calling their upper-end source components "CD players" and began marketing them as "DAC-transports." With the consistent decline of CD sales and the growth of downloads in recent years, sales of CD players have slowed while sales of D/A converters have grown. Emphasizing a player’s ability to convert digital signals to analog, rather than the type of disc it plays, sidesteps its eventual obsolescence while emphasizing its continued relevance. But still -- does the world need a $9000 DAC-transport? 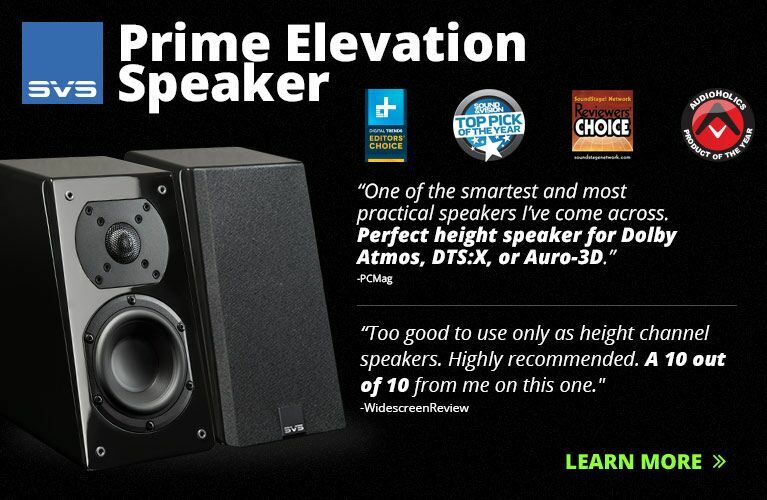 The 650D is part of Simaudio’s top series, Moon Evolution (their lower-priced series is called, simply, Moon). 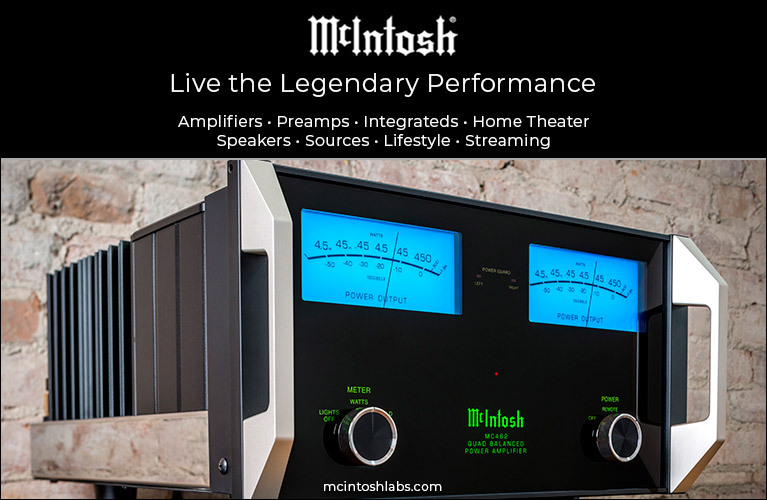 In many ways, the 650D is a scaled-down version of its predecessor, the 750D DAC-transport ($13,000). The two models’ overall designs are quite similar, including their size and weight -- each measures about 18.75"W x 4"H x 17"D and tips the scales at 35 pounds. They also look the same, with silver "cheeks" framing a faceplate available in black or silver. (I favor the black faceplate for the way it contrasts with the silver cheeks, pushbuttons, and Moon logo and name.) 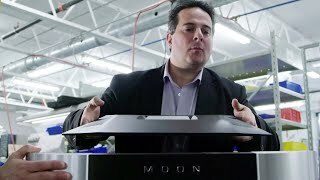 The rest of the 650D is black except for the silver corner columns, into which are screwed the supporting feet, and the small silver top plate, in which is engraved a larger version of the Moon logo. The 650D’s all-metal casework looks good and feels exceptionally rugged, as you’d expect for the price. The pointed metal feet gave it firm footing, though I had to be very careful in placing under them the dimpled discs that Simaudio supplies -- otherwise, they’d have scratched the hell out of my shelf’s finish. At the center of the faceplate, just below the disc tray, is an LED display with large, red characters that can be easily read from across the room. This is flanked by clusters of the usual CD-player controls (Play, Pause, etc. ), in addition to such controls as Standby (for day-to-day powering on), Input (to select the appropriate digital input for playback, or the disc tray), and Display (to vary the intensity of the LED display or turn it off altogether). All of these are duplicated on the heavy-duty, all-aluminum FRM-2 remote control, which is included in the price. 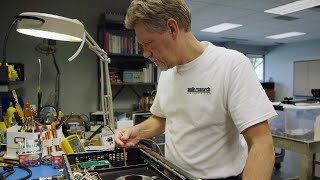 Although calling the 650D a "DAC-transport" shifts the emphasis from its being a disc player to a DAC, Simaudio claims that a lot of care and attention went into the design, manufacture, and mounting of its proprietary drive mechanism, which is suspended by a gel-based system Simaudio calls M-Quattro. Their goal was to provide start-of-the-art playback of CDs -- wise, because even though the Compact Disc is on the wane, it’s been the dominant physical format for about 25 years, and will stay that way for some time to come. This drive supports only CD-resolution playback; the 650D won’t play SACDs, DVD-Audio discs, or any sort of disc containing high-resolution files. The 650D’s backside also houses pairs of single-ended and balanced analog outputs; AES/EBU (XLR) and S/PDIF (RCA) digital outputs; an IEC-compatible power-cord inlet; the main power switch (the 650D is designed to be left on all the time); a SimLink input/output, for two-way communication with other Simaudio components; a port for an infrared (IR) remote control; an RS-232 port, for automation and firmware updates; and two more XLR connectors, for connecting an external power supply (sold separately). Although Simaudio didn’t send a power supply along with the review sample, they say that it can increase the 650D’s performance. The 650D’s and 750D’s digital and analog circuits are similar but not identical. A peek inside the 650D’s case reveals an alarming amount of empty space -- the main reason is the use of four-layer printed circuit boards for the shortest signal paths, as in the 750D. Had Sim used single-layer boards, the 650D’s interior would be pretty much filled. The 750D uses 24 stages of voltage regulation, the 650D 18 stages. But they’re both fully balanced designs, which Simaudio uses to reduce noise and distortion. Much attention has been paid to the matching of parts, so that the balanced design fixes more problems than it introduces. There are also some differences in the two models’ analog stages, but you’ll read about them in the Sound section, below. The 650D and 750D both use Simaudio’s Moon Asynchronous Jitter Control (M-AJiC), which is designed to reduce internal jitter to an extremely low 1 picosecond. The digital chipsets on which they’re based are different, though: the 750D uses ESS Technology’s 32-bit Sabre32 Reference DAC and digital filter, while the 650D uses ESS’s 32-bit Sabre32 Ultra DAC and digital filter. Both chips use ESS’s Hyperstream DAC architecture and Time Domain Jitter Eliminator. 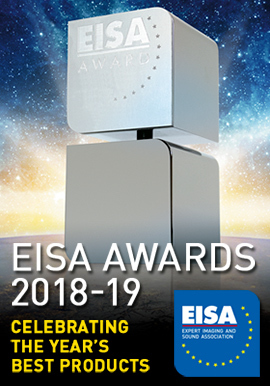 Each ESS Sabre DAC chip comprises multiple internal DACs, which allow the Simaudio designs to use a current-summing technique that effectively combines the outputs of eight DACs per channel, to spread out any individual DAC errors. This is done to improve linearity, and to reduce noise and distortion. Indeed, a look at the 650D’s supplied specs reveals a device that measures at pretty much the state of the art: a signal/noise ratio of 120dB, a frequency response of 2Hz-100kHz, +0/-3dB, and total harmonic distortion (THD) and intermodulation distortion of less than 0.0001%. How did all that sound? Well, the 650D’s sound was surprising -- and in ways those measurements don’t necessarily hint at. Because I’ve ripped my entire music collection to a hard drive, I did the bulk of my listening using my Windows Vista-based Sony laptop running JRiver Media Center 15, connected to the Simaudio via USB and with ASIO output, which bypasses Windows’ "stack." To assess the 650D’s CD transport, I also directly compared some of my music files with the CDs I’d ripped them from. 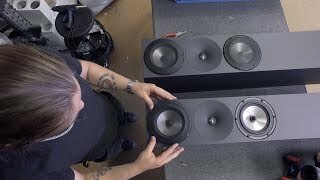 I used the 650D over many months and with different components, but I did my critical listening through Vivid Audio’s Giya G2 speakers, which are incredibly transparent and resolving. These were driven by either the Bryston 4B SST2 or the Ayre Acoustics VX-R stereo amplifiers, which in turn were fed by a JE Audio V.10.1, Lamm LL2.1 Deluxe, or Simaudio Moon 350P preamp. 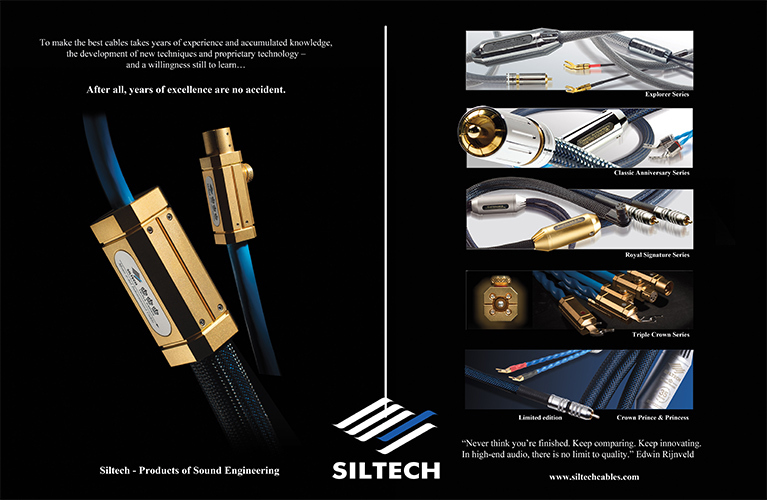 Speaker cables were always Nirvana Audio S-L, while balanced interconnects were always Nordost Valhalla. AudioQuest Carbon or Diamond USB cables connected my laptop to the 650D. 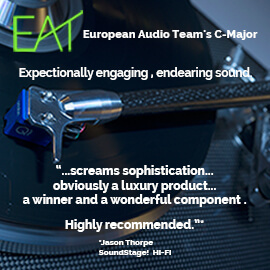 Few CD players raise my eyebrows or even my interest, because they so often sound so similar. Digital playback is a mature technology, and everyone is doing pretty much the same thing, often using the same parts. That’s why it’s possible to get extremely high-quality sound for a very low price, and it’s one of the reasons I wonder if we any longer need any type of digital source component costing $9000. But the Simaudio Moon Evolution 650D sounded so different from any other digital source I’d heard in my system, including past Simaudio products I’ve reviewed, that it not only raised my eyebrows, it piqued my interest enough that I had to further investigate what I was hearing. What made the 650D sound completely unlike any other digital source I’ve heard? Mostly it was the 650D’s combination of extraordinary resolution and mid- and high frequencies that were unbelievably clean, effortless, transparent, and nonfatiguing. 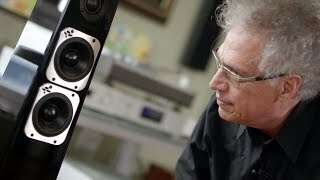 For example, while I never reviewed the 750D, I did review the model that preceded it, the Moon Evolution SuperNova ($5900 when reviewed), and long used it in my reference system. The SuperNova was resolving as all get-out, but it never sounded anywhere near as transparent and effortless in the top end as the 650D. The SuperNova also had a more typically "digital" sound -- visceral, impactful, strong, crisp -- whereas the 650D had a more relaxed sound that was far easier on the ears. That’s why I emphasize the 650D’s combination of qualities. 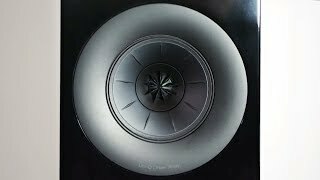 I’ve heard sky-high resolution before, as from the SuperNova, and I’ve heard silky-smooth, completely nonfatiguing sound, most notably from Zandèn Audio Systems’ 2500S CD player ($22,000) -- but never both from a single player, as I did with the 650D. The way it reproduced music through my system was uncanny and unique. Bottom line: My music collection sounded much different than before -- and much better. I bought a CD copy of Ennio Morricone’s chorus-based score for the film The Mission (CD, Virgin 90567) when it was released in 1986, and have played it through every DAC and CD player I’ve reviewed in the past 16 years -- which is how long I’ve held this job. It’s no hi-rez recording in terms of bit depth and sample rate, but it contains a lot of detail, and sounds quite natural and refined. Most important, I know it very well, and with every incremental improvement in the quality of digital sources, I’ve heard something more from this great, quarter-century-old recording. The 650D revealed The Mission’s every subtlety in stark relief. Most notably, the stage was deeper than I’d ever heard it before -- the farthest-away choristers were way, way back, at the rear of a soundstage that blew past my room’s front wall. 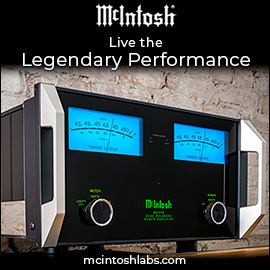 No DAC or CD player had ever created a stage so deep in my room, even the greatest and most modern products. For example, the high-performing Eximus DP1 ($3000), which I raved about in December, could also reveal a lot of detail, but its soundstage was only about 80% as deep as the 650D’s. If soundstage width and, especially, depth are your things, listen to the 650D for its reference-class performance in this regard. As the digital sources I’ve evaluated have improved over the years, the intricacies of The Mission have sprung to life in surprising ways. What was once a mash of voices flat as a pancake has become a room full of distinct voices. And now, with the 650D’s superb resolution, the precise positions of those singers from left to right and, mostly, from front to back -- even when they stand no more than a foot or a few inches apart -- has become startlingly apparent. The tiniest sounds that used to disappear into the noise floor, particularly those at the back of the stage, or the decays of drumstrokes, have been increasingly unveiled in the last few years, and were in full bloom through the 650D. I’ve said before that I’d be surprised if this disc contained any more information I had yet to hear. Well, the 650D surprised me -- it squeezed out just a little bit more information than had the very best I’d heard. Then there was the most intriguing aspect of the 650D’s performance: the highs. Stringed instruments, in particular, had a delicacy and detail that I’d never before heard from any digital source. In fact, I’d always thought that there was a little bit too much edge and grunge inherent in the topmost frequencies of The Mission, due mostly to the poor state of digital mastering and production in the mid-’80s. But through the 650D, it didn’t seem as if all that edge and grunge was in the recording -- now I heard very little of it. The recording still didn’t sound perfect, but it was greatly improved. What’s more, it wasn’t as if anything had been cut off or covered up -- it was simply that The Mission now sounded cleaner and purer than ever before, and with highs so pure and feathery-light that I’m sure LP aficionados who don’t think digital can sound this natural on top would be given pause. Whether I was playing The Mission from a CD or from computer files, the two source formats sounded so close as to be pretty much the same. This speaks well for the 650D’s disc-playback abilities, as well as for the quality of its USB input. When a comparison of these tracks or portions of tracks wasn’t quite a draw, my nod went to the computer -- it had just a touch more presence, slightly stronger image focus, and a hair more detail, particularly with the back-of-stage stuff and those subtle decays. Adele’s 21 (16/44.1 FLAC, XL Recordings) is the hot album of 2011, in terms of both sales and its elevated high frequencies, which can take a few kHz off your hearing if you play it too loud too long. I like the album overall, but it’s way too bright, and when I play it through the DP1, or the overachieving Hegel HD10 (a steal at $1200 when I reviewed it), both of which sound very refined but in a more typical digital way, my ears nearly bleed. Played through the 650D, 21 had highs that were still pronounced and unruly, but far less objectionable than through typical digital sources. Again, it wasn’t as if the 650D were covering anything up; it was more that it wasn’t making things worse by added grunge or undue emphasis of its own. And when I played some 1970s rock -- such as "You Could Have Been a Lady" and "Rock ’n’ Roll Is a Vicious Game," from April Wine’s The April Wine Collection (CD, Aquarius/Unidisc 2563) -- the lead guitars, which can be piercingly edgy and bright through even the cleanest-sounding DACs and players, were slightly more laid-back but cleaner through the 650D, making these recordings far more palatable to listen to for longer periods. In fact, the exceedingly well-behaved, silky-smooth highs that the 650D consistently exhibited led me to think that the Simaudio was the most analog-like digital source I’ve heard -- even more so than the LPs containing these very songs that I grew up listening to in the ’70s. These results remained consistent, whether I was playing music files or CDs. So different was the 650D’s sound, particularly in the highs, that I held off writing this review until I could learn more about it. 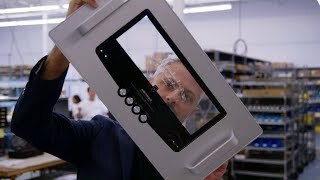 There was no one better to ask about it than the designers, so I traveled to Simaudio HQ in Boucherville, Quebec, to learn what I could. When I asked them specifically how and why the 650D sounded so composed, in an almost analog-like way -- particularly in highs unlike anything I’d ever heard, even from other Simaudio products -- they weren’t surprised. It turned out that the 650D sounds the way it does by design. When Simaudio designed the 750D, they wanted to make the most accurate and resolving digital front end they could. Although I’ve had no direct experience with the 750D, what I know of it is that it reveals every musical detail that’s on a music file or disc, and is ruthless and unflinching in terms of the music signal it delivers to the rest of your system. 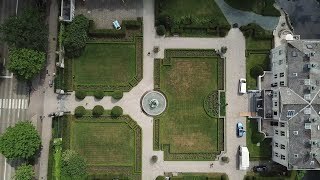 If a recording is great, it will sound that way through the 750D; if it isn’t, the 750D won’t necessarily make it sound worse, but it will do nothing to make it sound better. The window hasn’t just been cleaned, it’s been removed. 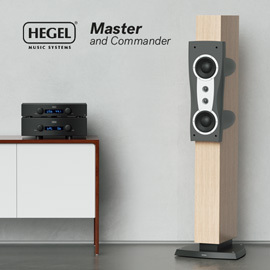 Such an unflinching presentation is, to some, precisely what hi-fi should be about, and that’s why the 750D was created. 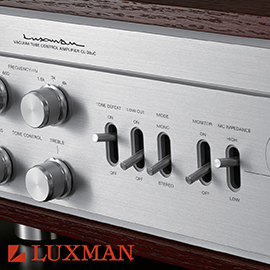 But Simaudio became aware that the 750D’s unyielding nature might not be suitable for every system or every listener. After all, does everyone really want a component that will screech at you unmercifully if the recording it’s playing was made that way? So they took a slightly different tack with the 650D, designing the analog stage to sound slightly sweeter, particularly in the highs. They claim that there’s no high-end rolloff or loss of resolution in the 650D; it’s simply more polite in its delivery overall, with special attention paid to how the highs are conveyed. However, these adjustments don’t necessarily show up in the sorts of measurements typically done on CD players and DACs. Obviously, Simaudio’s design team doesn’t go only by the numbers -- they listen, too. So what we have in the 650D is a digital source designed around some strong technical parameters, but that has also been "voiced," or tailored to sound a certain way. 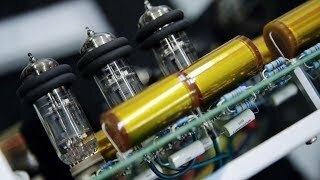 It certainly sounded unique to me, presenting music in an utterly effortless and nonfatiguing way that many audiophiles will call "analog-like." 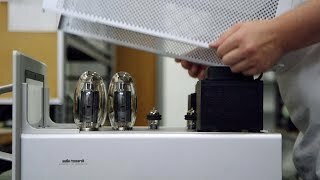 Did Simaudio’s designers make the right choice? Many will answer with a resounding Yes! I suspect that the 650D could be the CD player of choice for those who prefer LPs, and who abhor digital for its frequent hardness and edge. And for those who appreciate the qualities that digital is known for -- dead-silent backgrounds, wide bandwidth, no speed fluctuations, very high resolution, etc. 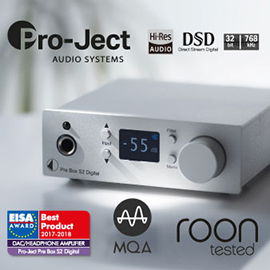 -- the 650D will deliver all that in spades from a CD or CD-resolution material -- and, via one of its digital inputs, even more from a superbly recorded, high-resolution track such as Children’s Overture, from our own 2L-TWBAS 2012 Sampler (176.4kHz FLAC, 2L and SoundStageRecordings.com). When I played this track through the 650D, the realistic and natural timbres, the incredible detail, and the width and depth of the stage were all state of the art. The 650D won’t be perfect for everyone. The transport can play only CDs, not SACDs or DVD-As. The 650D’s distinctively smooth, somewhat laid-back sound will thrill those who hate the in-your-face quality of most digital sources, but those who do like the more visceral and forward quality exhibited by most other digital front ends might find the 650D a touch too polite. It’s certainly more polite than the Moon Evolution SuperNova was. Then there’s the price: $9000 is high, given that there are some outstanding DACs and disc players that cost far less, even from Simaudio. I’m not one to try to convince anyone that spending $9000 on a digital source component is a "great deal," no matter how good it sounds. That’s a lot of money. But far be it from me to tell someone that something costs too much, if they want it and can afford it. There are good reasons some of this stuff costs so much: Trying to come up with the ultimate in reproduced sound -- which means, by definition, pushing the limits of the current state of the art -- often costs a lot of money in research, development, and parts. From what I could hear, Simaudio has pushed that envelope with the Moon Evolution 650D, and the result justifies its high price. If Simaudio’s Moon Evolution 650D DAC-transport were just another digital source that sounded like pretty much everything else out there, there would be no reason for it to exist, and certainly no reason for anyone to spend $9000 for one. What sets the 650D apart isn’t so much its build quality or features (though those are very good) as its distinctive sound, which is like nothing else I’ve heard. The 650D was able to resolve the finest details -- it’s hyper-revealing -- with the most musical and nonfatiguing sound I’ve heard from any digital source. The 650D’s soul is as analog as it is digital. 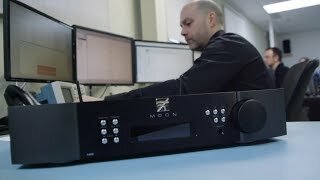 If those are the sonic qualities you’re after and $9000 is within your reach, you should audition Simaudio’s Moon Evolution 650D DAC-transport before you buy anything else. The rest of us, for whom such a price puts the product in the category of pipe dream, can hope that Simaudio will, someday soon, trickle down the 650D’s sound to some newer, less-expensive models, so that we, too, can enjoy it. Warranty: Ten years, electronics; three years, transport.